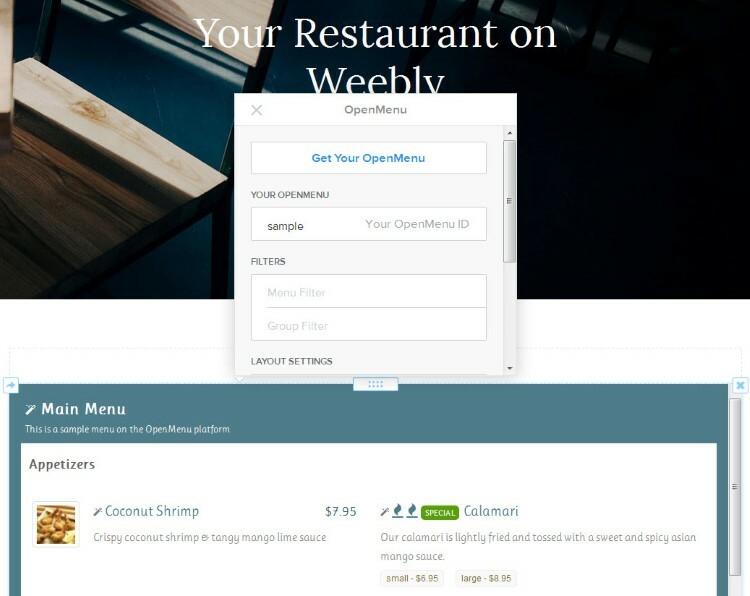 We are happy to bring the easiest way to control your restaurant’s menu on Weebly through our newly released OpenMenu App. Have a Weebly website? If you do, you can now use Weebly’s new App Center to drag-n-drop OpenMenu on to your website. Drag on to your website, set your OpenMenu ID and your menu is automatically added (and maintained) on your website.